The paper presents the effectiveness dependence of the long-term automated environmental groundwater monitoring system, based on the aeration zone geoelectric monitoring method as well as on the number of contactless transformer sensors and the distance between them. The equipment costs and the area occupied by the system are considered as well. The basic criteria for evaluating the automated control and monitoring system effectiveness are described. The choice of the statistical criterion for evaluating the effectiveness of similar systems as a basic one is reasoned. According to the results, the optimum number of contactless transformer sensors in the environmental groundwater monitoring system is determined to come at eight. The optimal distance between the sensors is specified as 30 meters. In accordance with these parameters, the system efficiency formula is found. The efficiency calculation was carried out for the multi-electrode setup. Keywords: groundwater monitoring system, monitoring system, geo-ecology, geo-ecological monitoring, unsaturated zone. Orekhov A.A., Dorofeev N.V. Information-measuring system for monitoring geodynamic geoelectric objects // Radio Engineering and Telecommunication Systems, 2012, № 2. – P. 60-62. Orekhov A.A., Dorofeev N.V. Algorithm for correcting the influence of interference on the hydrological monitoring geodynamic objects // Algorithms, methods and data processing systems, 2012, № 22. – P. 74-78. 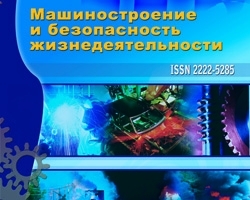 Dorofeev N.V.,Orekhov A.A. Increase the efficiency of the geodynamic control through the introduction of new geoelectric models // Engineering industry and life safety, 2012, № 3. – P. 11-14. GOST 24.702-85 Effectiveness of automated control systems. Basic provisions. Kasatkin A.S., Kuzmin I.V. Evaluating the effectiveness of automated control systems. – Moscow: Energiya, 1967. – 80 p.
Alexandrov A.G. Optimal and adaptive systems // Tutorial. – M.: Higher School, 1989. – 263 p.
Orekhov A.A., Dorofeev N.V. Investigation of influence of groundwater regime on geodynamic control objects // Algorithms, methods and data processing systems, 2012, № 21. – P. 46-52. Dorofeev N.V., Effectiveness evaluation of automated environmental groundwater monitoring system, №4 (18) 2013, Orekhov A.A., Romanov R.V.